There has been a school on the site of Wylde Green Primary School since 1840, when a boys’ school (The Green Lanes School) was opened here. Since that time the school has seen many changes – the building has been extended many times and the site itself has grown over the years. 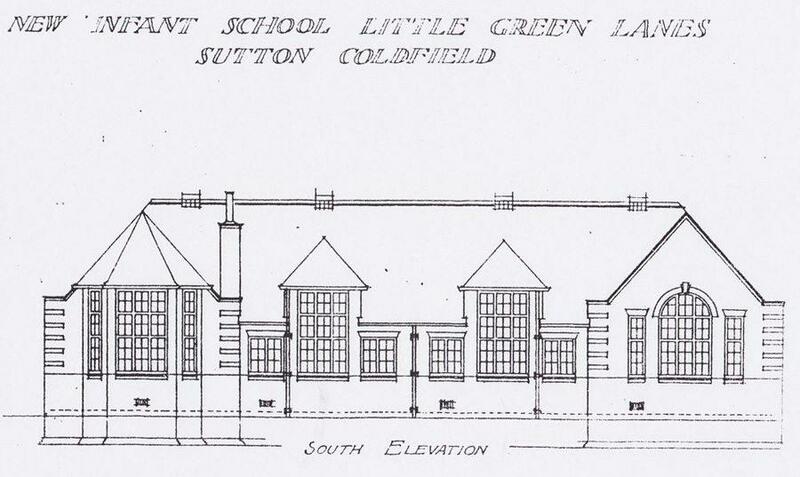 In 1909 a second school opened on the same site, called The Green Lanes Infants School. In 1938 the two schools were combined to become Green Lanes Junior and Infants Mixed School, and in 1960 it became Wylde Green County Junior and Infants School, followed by Wylde Green Combined First and Middle School in 1972. 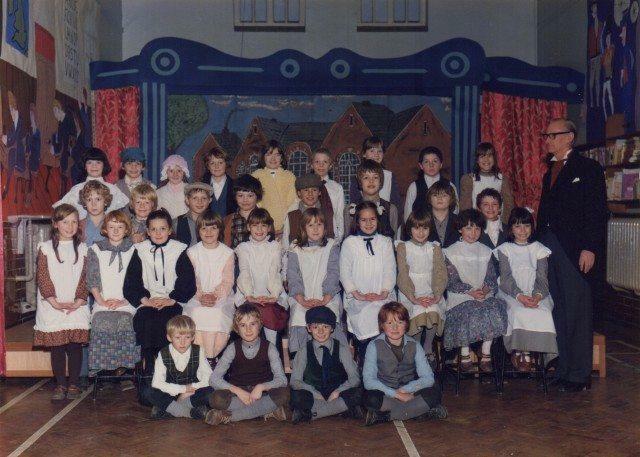 Most of the information on this page has been taken from “Wylde Green First and Middle School, 1840-1980”, by Mr DJ Redwood, a former teacher at the school. Many thanks to him for the huge amount of work that must have gone into researching this history. If you have any photos of yourself or family members at school during its history, or any information about the school’s history, in particular its history since 1980, please contact the school so we can add more detail to this page. The Green Lanes School opened in 1840 at the same time as the primary school in Walmley became a girls’ school previously, the Walmley school had taken both boys and girls. The school building was what is now the hall; morning lessons were from 9am to 12 noon and afternoon lessons ran from 2pm to 5pm except in November to February when the afternoons from 1.30 to 3.30 because of the poor light. There was no dining room or kitchen and no playing field; the site was similar to the current playground but included a house for the Master. There were also stables and offices. The first Master was Mr James Cramp; he lived on site with his wife and earned £40 per year when the school opened, which rose to £81 by the time he retired in 1890. In the early years he was the only member of teaching staff but he was joined later by an Assistant Teacher. Life for the boys was very different in the school’s early days. Boys attended school from the age of 6 to 13, after which they were expected to work. Teaching was in large classes and was very formal, with boys expected to learn Reading, Writing and Arithmetic. In 1874, of the 52 boys at the school, 42 passed the Reading exam and 41 passed the Writing exam, but only 20 passed the Arithmetic exam. The boys who passed were rewarded with a day off school! The uniform was a suit of blue jacket and trousers plus an extra pair of corduroy trousers, costing £1 and 10 shillings. The School Committee bought uniforms for the boys – but not for those boys who were illegitimate or who were seen ‘selling or offering for sale flowers, fruit or other articles on Sundays’. Mr Cramp was replaced by Mr Eden as Master in 1878. He seems to have had a difficult time as Master, with the Assistant Teacher leaving and not being replaced and problems with attendance. He employed the old Master Mr Cramp as ‘Visiting Office’ to tackle attendance but this doesn’t seem to have helped. Mr Eden retired suddenly in 1885, giving less than a month’s notice. The next Master was Mr Charles Davis, who had previously been the Assistant Teacher. By this time more boys were attending the school so a new classroom was added to the north of the schoolroom (at the front of the current building). Attendance was still poor during this time; in 1889 11 boys were caught stealing potatoes during school hours from a field owned by a member of the School Attendance Committee! Mr Davis resigned abruptly in February 1891, giving just two weeks’ notice. He was replaced by Mr Alfred Simpson. This was shortly after the Free Education Act which abolished school subscriptions, meaning boys’ families didn’t have to pay for them to attend. School life was still very different for the boys though: one boy was sent home after ‘an excess of corporal punishment’ because he had refused to take his pen off his desk! Numbers on the school roll grew rapidly in the 1890s – by 1893 105 boys were attending, and in 1904 it was decided to provide an additional 100 places. The current buildings weren’t big enough so in 1906 two new classrooms were added on the south side of the school, which are still there today. The Master’s house was also extended. In September 1907, 247 boys were attending the school – 19 more than the extended building was designed to accommodate. More teachers were recruited to meet the increased demand, including some female teachers such as Miss Clegg, who was reported to hit boys with a cane across the back of their necks when they stepped out of line. 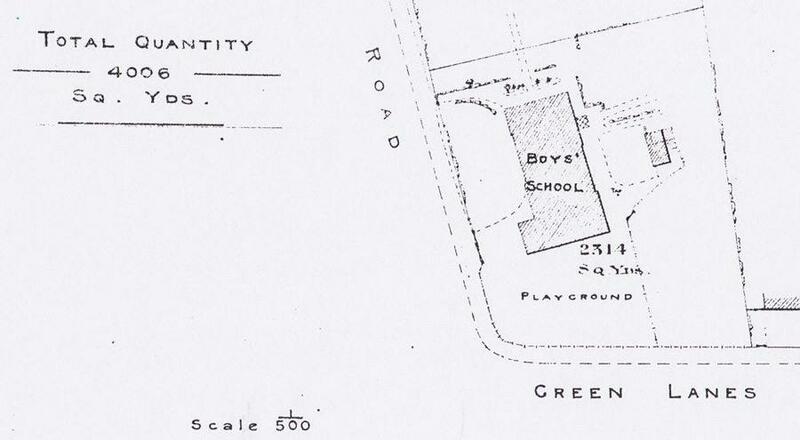 A ground plan of the school site in c.1903, showing the outhouses containing the toilets, and the layout of the gardens and paths. In 1909 more building took place, with the adjacent Infants School being built at around the same time. The two schools existed separately until 1938. The final Headmaster at the Green Lanes School was Mr William Prothero, who was at the school from 1924 to 1938. Mr Prothero introduced the school sports day (although there was still no field so this took place on the playground). He opened a lending library for pupils and oversaw the school’s first “Wireless Installation” (or radio). In 1934 there were 318 boys attending the school and many more teachers. Extra-curricular activities were extended, including inter-school sports (the school was strong in swimming) and an annual outing to the theatre – something that we have only recently reintroduced! 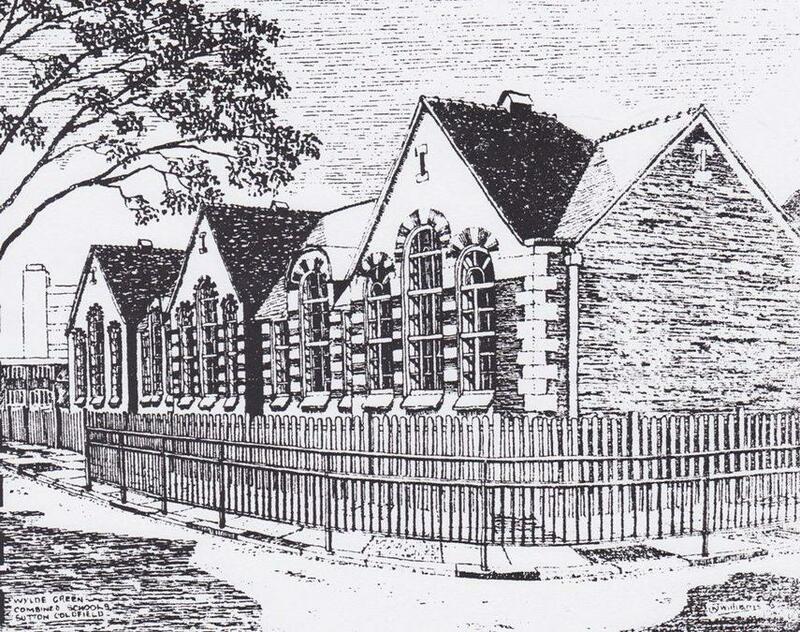 The infants school was opened in February 1909, with four classrooms, a “marching corridor” and a staff room. The first Headmistress was Mrs Florence Hardman, who came from Boldmere School where she had been Headmistress. A number of children at the new school were moved from Boldmere School, which was suffering from overcrowding. The school opened with 90 children and by 1911 had 186 children registered. Girls and boys were admitted, of Infants age, which meant that they were younger than the boys next door. The Infants school had its own shop where the children sold their own toys and other items; the objective was to help them learn weights and mesaures, not to turn them into contestants on The Apprentice! At Christmas they would have a Punch and Judy show and a visit from Father Christmas. When the First World War broke out the children collected items to help with the war effort and support some Belgian refugees living locally. However the school had to be closed a few times dues to coal shortages. In Juy 1919 the school celebrated the end of the war by decorating the classrooms with flags and going to Sutton Park for sports and tea. The second Headmistress was Miss Ellen Freeman, who held the role from 1929 and continued after the two schools were combined in 1938, finally retiring in 1957. Her time saw improvements to the school buildings: the gas mantles and burners were replaced with electric lighting in 1931 at a cost of £35, and the school was also redecorated to make it brighter and more cheerful. In 1929 the Haddow Committee Report recommended that children should finish junior education at the age of 11 and attend secondary school until they were 15. Initially it was proposed that the two schools should be combined as a Mixed Senior School taking children aged between 11 and 15, but this was rejected by the Education Committee which did not want mixed schools for this age group. 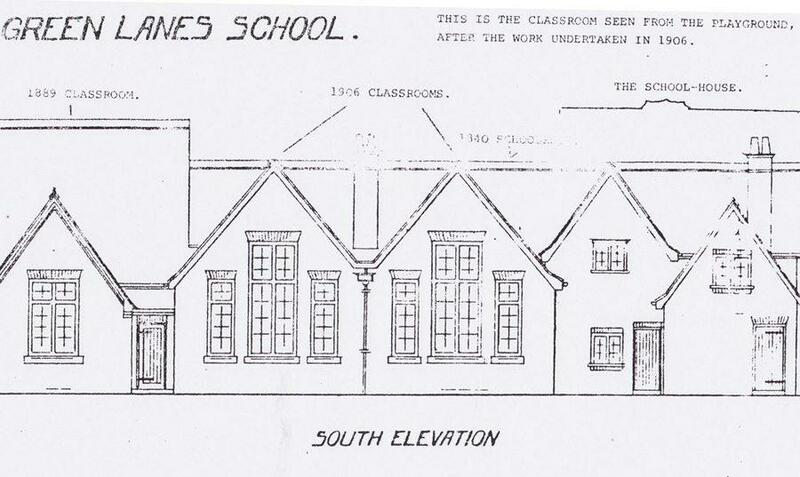 In 1934 it was proposed that the site at Green Lanes should house a mixed Junior School; this was in conjunction with the establishment of two separate senior schools in Cofield Road, Boldmere. 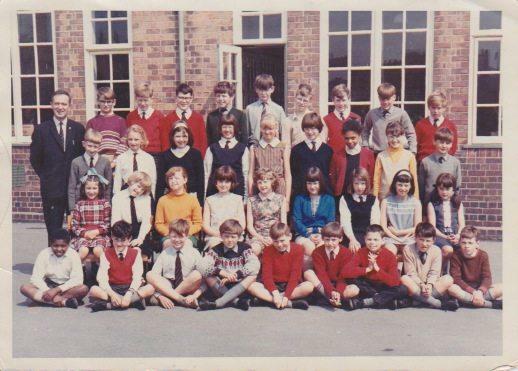 These two schools later became Boldmere Secondary School and are now Boldmere Infants and Boldmere Junior Schools. The new school opened in September 1938 with 182 children and six teachers including the Headmistress. At the end of September, however, the Infants classrooms were temporarily closed down due to the threat of war. War didn’t break out until the following year and in August 1939 children at the school were issued with gas masks and taight how to wear them. The school did not reopen in September 1939 after war had broken out; instead, teachers visited children at home. 14 houses were set up as home teaching centres, with children allowed into school for a short time each day to drink their milk and change library books. Air raid shelters were built which meant that the school could re-open on October 23rd, with lots of drills taking place to familiarise the children with the shelters and gas masks. The shelters were built along the entire length of the playground in a zig-zag pattern with entrance steps at both ends. 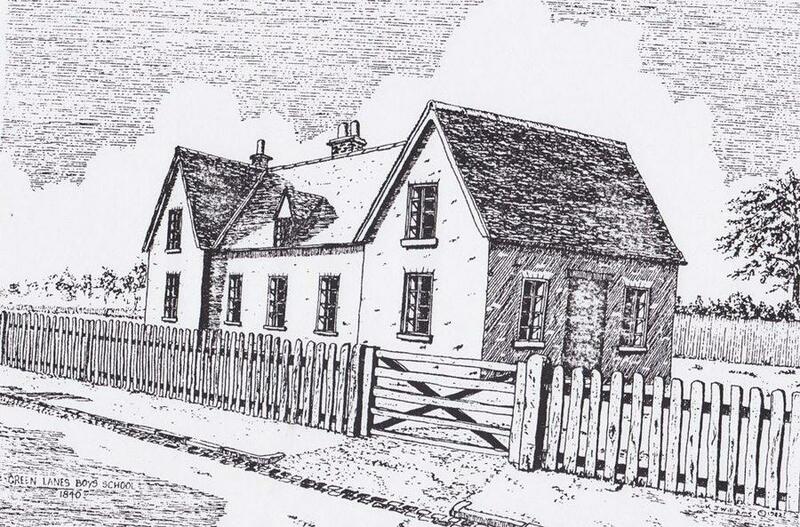 They cost £660 to build – more than the £400 originally spent building the school in 1840. The second world war greatly disrupted the workings of the school: holidays had to be rearranged, children were evacuated, heating coke was in short supply and lessons were interrupted by air raids. When air-raids took place at night, the school wouldn’t open until 10am the next morning. The school raised money to help the war effort, with events such as Warship Week and Wings for Victory Week, the Books for Forces campaign and the collection of savings stamps and certificates. In 1943 and children were provided with school dinners for the first time; as there was still no kitchen, this was delivered from outside. The school celebrated the end of the war in 1945 with a thanksgiving service at Emmanuel Church, a Punch and Judy Show, Fancy Dress Parade and Victory Tea. After the war the school was able to get back to normal. The air raid shelters weren’t removed for many years but a classroom that had been used as an emeregency food storage room was renovated for its original use and the buildings were repainted in 1948. At this time 34 children moved to Green Lanes from New Oscott School which was closed down; this led to a strain on the available space so the former Manual Craft Centre was reopened to provide an extra classroom. Two new posts were also created: the School Secretary, the first of whom was Mrs Redding, and a Deputy Head, the first being Mr Elliott. Now there were 455 children in 13 classes; not dissimilar to our school today! The school celebrated the Coronation in 1953 by planting trees with children from other schools in the Coronation Coppice ovelooking Longmore Pool in Sutton Park. They also took part in a pageant in the park, with the Queen played by a girl from Green Lanes. In 1955 the school was finally given its own playing field, partway down Green Lanes behind the Wylde Green pub; the site is now taken up by modern houses, as the school has a playing field on-site. Miss Freeman retired in 1957 and was succeeded by Miss EH Slarke. She introduced a uniform and oversaw the building of the kitchen and dining hall; which are still in the same part of the building. The first meals cooked on-site were served to children on January 7 1959. In 1960 the name of the school changed to one which is more familiar to us today; a large number of the staff changed at the same time, and the number of children attending continued to rise. Miss Slarke left in April 1962. The next head teacher was Mr Thomas Lawson. He set up the Home and School Association, the forerunner of our PTFA. 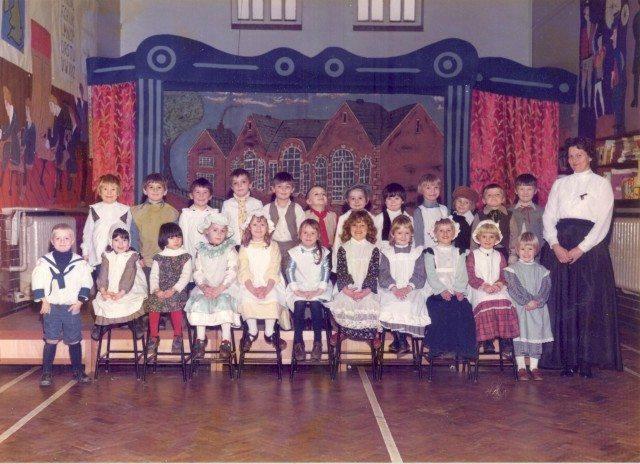 The association raised money to buy a stage for the school with curtains, wich meant the children were able to put on productions such as “Snow White”. As the number of pupils grew, more teaching space was needed, so the building across the road (now Wylde Green Nursery) was separated into two classrooms by a screen and two ‘terrapin’ huts were built on the space where the field and the playground now meet. The staffroom was doubled in size by moving the head teacher’s office to its present location, which was once a storage room. The former entrance into the Infants’ department was turned into what is now the office. Electrical power points were installed and in 1965 the school bought its first television! By 1967 there were now 563 pupils at Wylde Green, which was too many for the building to cope with. Penns Primary School was built in Berwood Road and 135 children and their teachers were trasnfered there on April 3 1968, leaving 433 pupils at Wylde Green, with 11 full time and 4 part-time teachers and one infant helper. The Head Teacher position changed hands in 1967, being taken up by Mr John Stones. The Warwickshire Education Committee decided that children should move to secondary school at the age of 12, and that a system of First and Middle schools should be established for younger children. 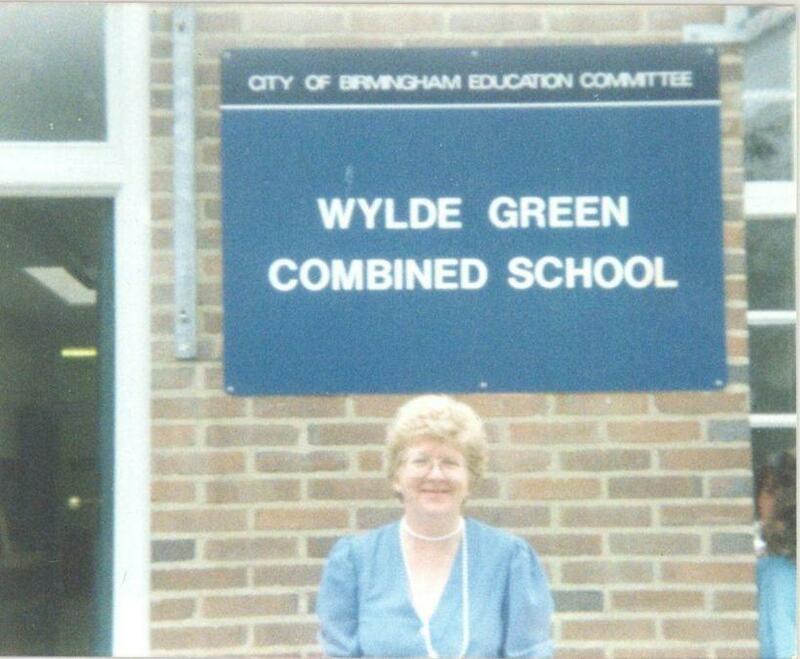 In September 1972 the school reopened as Wylde Green First and Middle School. In 1975 Mr Stones moved to Topcliffe Primary School and Mr Edgar Davies was appointed as head teacher. He re-introduced the house system, named after the patron saints of England, Scotland, Ireland and Wales, and changed the timing of the afternoon session for older children so that everyone finished at 3.30. He moved to a school in Lyme Regis in 1978 and was replaced by Mrs Ann Dudley, later to become Mrs Baker. In 1980 the school staged a big celebration of the 140 years of schools being on the site at Green Lanes. This included a Victorian Day when the children and staff came to school in Victorian dress and each year group was combined into one large class for the day to reflect the large classes of the Victorian era. There was an exhibition of the school’s history, a performance illustrating the school’s history by the children and a cabaret performed by members of the Home and School Association. This page is still under development. If you have information on the school’s history or photographs you would be happy to share with us, please let the school office know. Thank you. If you’re studying Victorian schools or would like to know more about what it was like to go to school in Victorian times, you might find The Victorian School website useful.